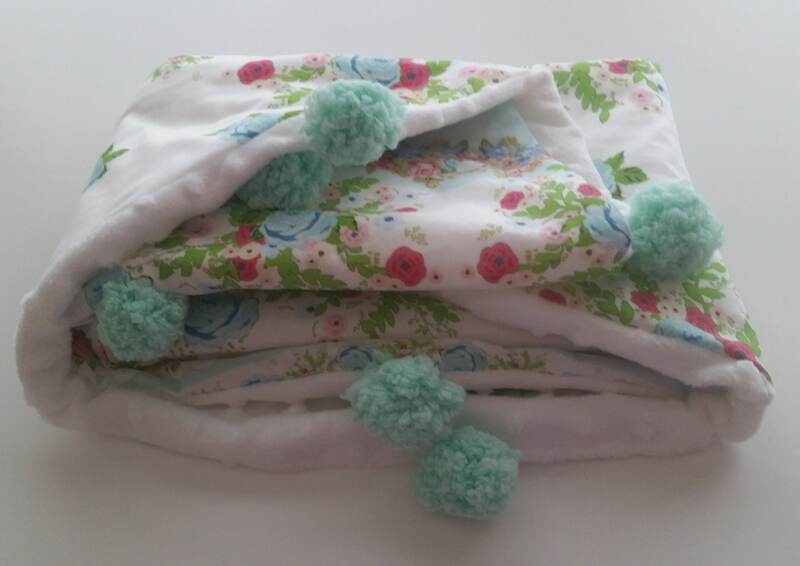 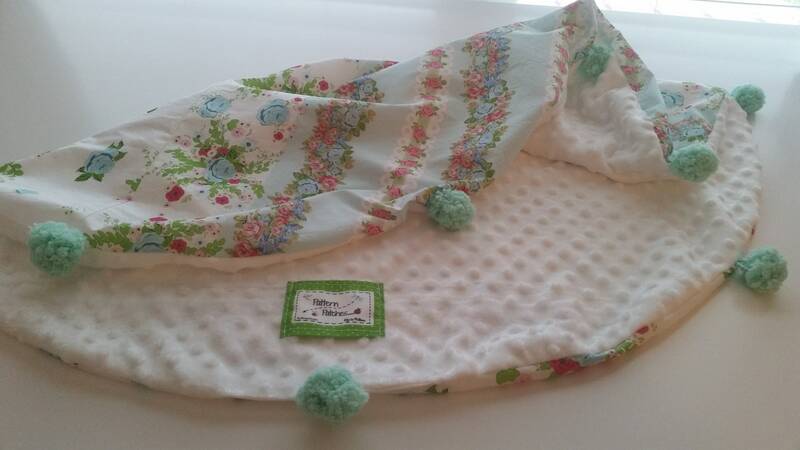 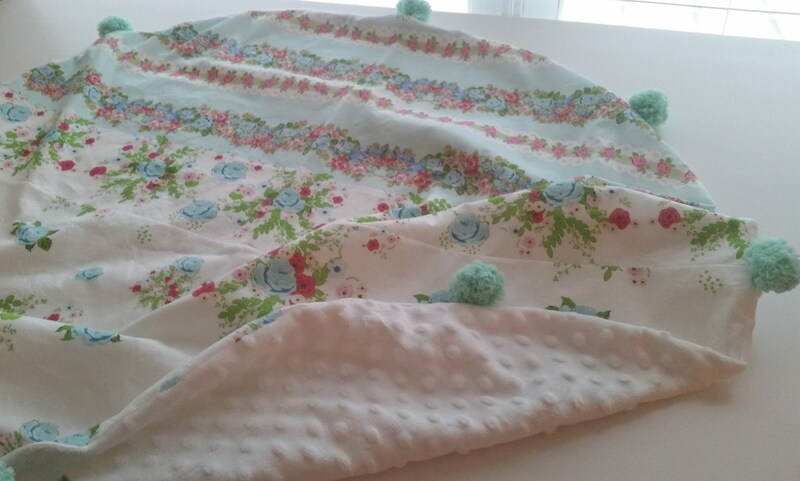 Adorable soft pom poms adorn this trendy round blanket. 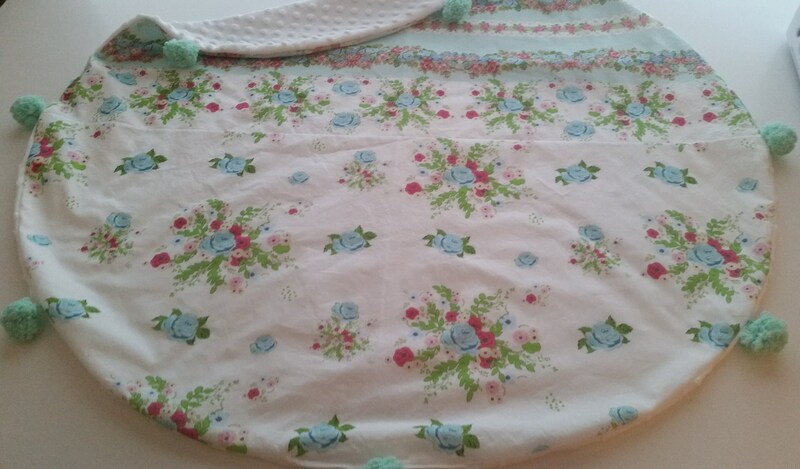 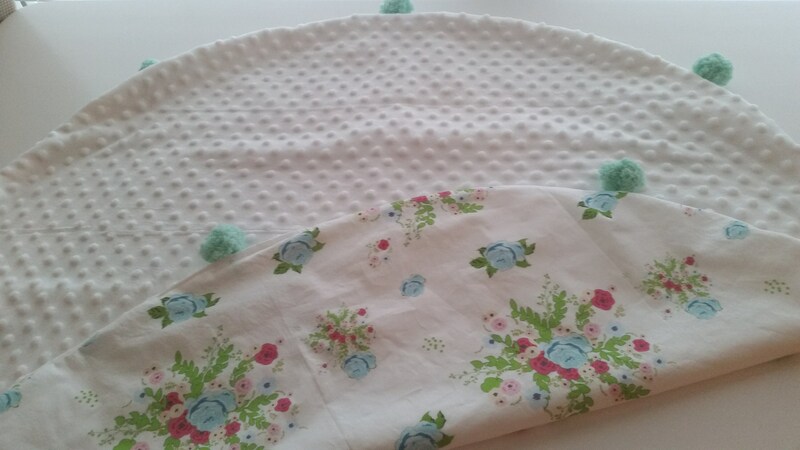 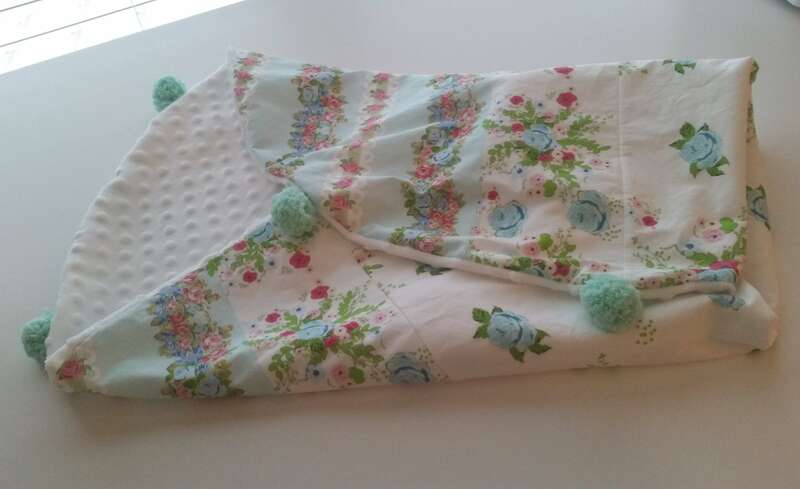 The super soft minky dot creamy white backing will make this your little one's favorite! 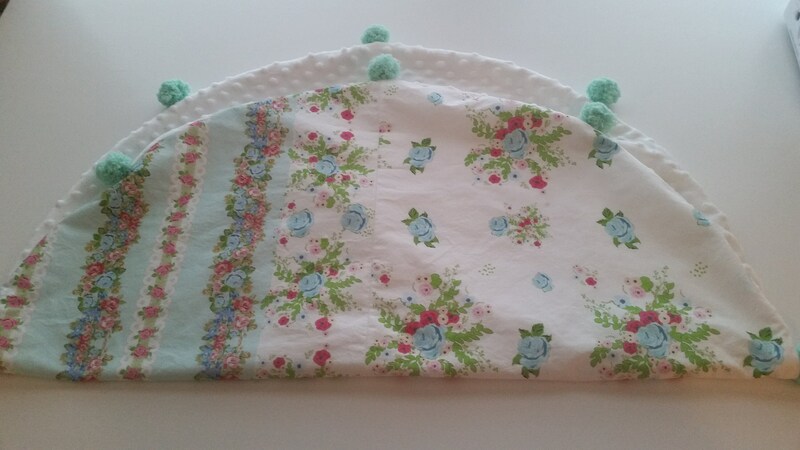 - use for picnics, the beach, playtime, nap time ... anytime!